Introducing user-friendly features to improve the workplace experience of Martela's personnel, while ensuring that their premises are efficiently used. Martela wanted to introduce user-friendly features to improve the workplace experience of its personnel, while ensuring efficient use of its premises. A tech solution that monitors, optimises and improves workplace design and use; to make buildings more employee-friendly and ensure effective use of working hours. Martela is one of the Nordic leaders in the office interior industry, specialising in innovative workplaces. A passion to offer the best workplaces has been guiding the company for seventy years. Real-time data and visualised analytics dashboards add new value for workplace users and allow workplace design to be continuously improved based on user experiences, usage data and changing needs. Staff at Martela have access to real-time data on available spaces. Finding colleagues and meeting rooms is as simple as viewing real-time location data on screens or employees’ own mobile devices.. The new features offered to employees include an application that allows employees to give feedback, share experiences and send service requests in real-time. Martela wanted to take its 'Smart Workplace by Martela' concept even further with Tieto Empathic Building. 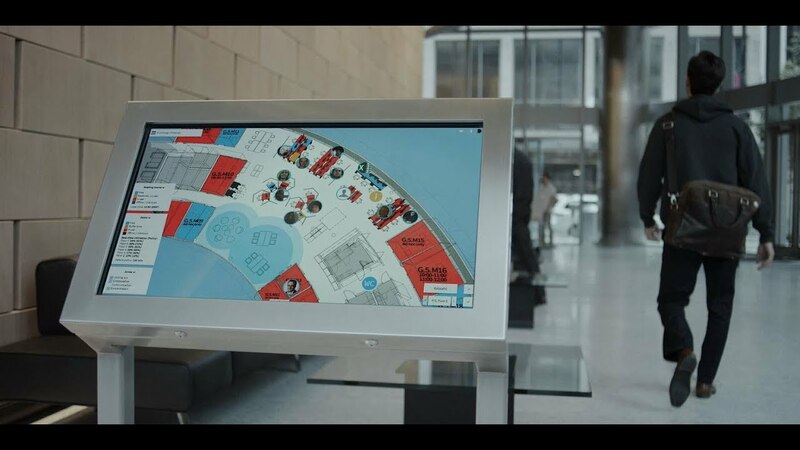 The Smart Office concept helps to adapt office spaces and resources to the changing needs of mobile workers. The Martela Dynamic product family includes smartphone or smart card solutions to book storage lockers, workstations or meeting rooms; along with an analytics solution to monitor and optimise the use of spaces and services. Real-time data and visualised analytics dashboards add new value for workplace users and provide a basis for new optimisation services. As a result, workplace design can be continuously improved based on user experiences, usage data and changing needs. Utilisation rate measurements of various areas of the office help assess the kinds of spaces that need expanding, along with those that are used less frequently. Combined with qualitative insights sourced through observing usage patterns and engaging employees with different methods, the result is a stronger foundation for workplace optimisation than ever before. Tieto Empathic Building is an open platform into which third-party services can be integrated. Martela's indoor location system, for example, utilises a solution by Quuppa, a Tieto partner. The core of the cooperation is formed by IoT solutions, such as sensors that measure workplace utilisation rates. Real-time data and visualised analytics dashboards add new value for workplace users and provide a basis for new optimisation services. As a result, workplace design can be continuously improved based on user experiences, usage data and changing needs. This will make the buildings more employee-friendly and ensure effective use of working hours. Tieto's Empathic Building is an open platform into which third-party services can be integrated. Martela's indoor location system, for example, utilises a solution by Quuppa, a Tieto partner.